A moustache can supposedly give a man a more dignified, stately air; making them suddenly capable of smoking a big mahogany pipe or completing The Sunday Times crossword. 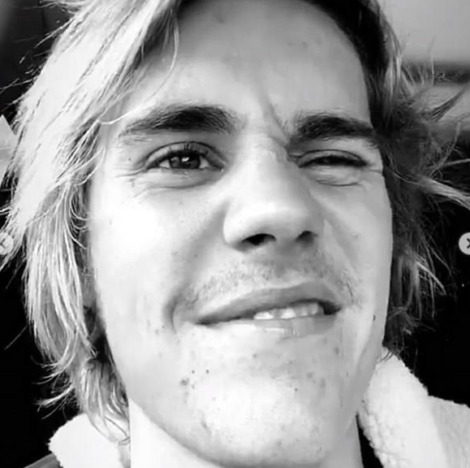 However, even some truly dedicated beliebers have been left less than impressed by the moustache efforts of their esteemed leader Justin Bieber. The Love Yourself singer looked proud as punch as he shared pictures of himself sporting longer hair and a manly ‘tache over Insta-story. I’m going to grow my hair down to my toes. Justin Bieber is so adorable. THIS SMILE MADE MY DAY! HOPE YOU KEEP THAT SMILE BIEBO. THIS SMILE MADE MY DAY!?? However, others were not too sure about Justin’s hairier look which portrays a much different image to the squeaky clean Justin of yesteryear. Yes your stash is gorgeous but I can’t say the same about your hair. Sad. All love. So- called stash has maybe 11 hairs, but if it makes u happy we will call it a stash babe. 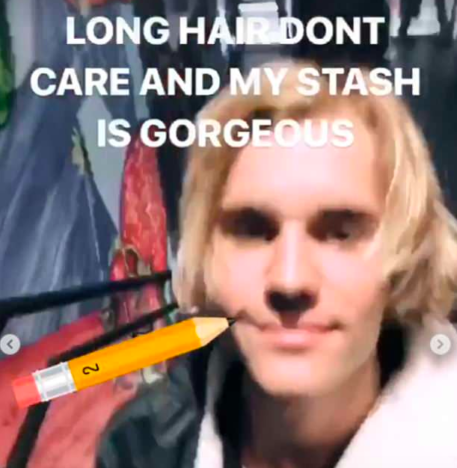 @justinbieber Yes your stash is gorgeous but I can't say the same about your hair. Sad. All love. Why would you shave everything but the edges of your "moustache"…. The former platinum blonde bombshell’s big reveal came on the same day he gave a shout-out to his ‘Man Crush Monday’ Post Malone, unfazed by the fact it was actually a Tuesday. 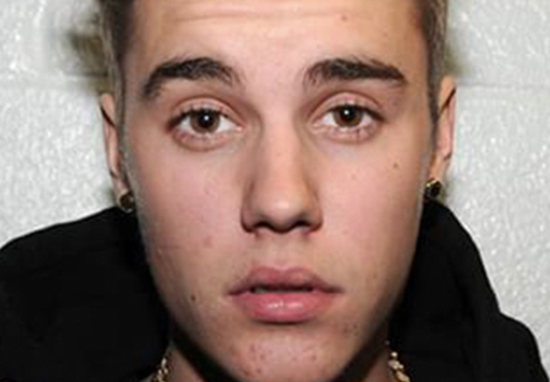 Man crush Monday crap it’s Tuesday…..
Could Biebs be channelling his new favourite bro with this almost-stash? It has been a process, but he’s doing so much better. You can talk to him and see that the old Justin is coming back. He seems happier, more energetic. It’s encouraging. He’s not completely there, but he’s definitely on his way. For a long time, it was just awful, but it’s not anymore. Justin is seeing the beauty around him. He sees that his life is beautiful, that he’s beautiful. He’s young and rich, but that’s not enough. He’s now becoming emotionally and spiritually grounded, and the difference is written all over his face. It’s beautiful to watch. Another celebrity who recently embraced the facial fuzz was John Cena, who surprised fans with his face-changing goatee. The shockwaves which rippled through the John Cena fanbase would not have been more profound if he had literally had a face transplant. I couldn’t sleep last night because I couldn’t stop thinking about John Cena’s goatee. John Cena has a goatee and I’m so uncomfortable with it. Let’s not even go into the whole Alex Turner situation. Who wore the facial hair better? Justin or John?